McKelvie wrote: I think I might have to swap the light grey claws at hips for black ones on the latest frame, as they don't seem to hold the grip quite as much. Mantisking wrote: Is it the type of Tile Clip that's the problem, or is it new versus used? McKelvie wrote: I always buy clip joints new to get as close a fit as possible. It's a bar w/ claw on a t-bar. The light grey ones aren't quite as tight a fit as the black (I think it might be something like darker colours being "denser" materially - ever noticed that if you have two items of clothing like jeans, one light and one dark, the darker one will be a slightly smaller fit?). Okay. I don't think I've ever run into that problem. I don't have very many of the Light Bley Bar Claws and -- if I remember correctly -- they're serving as hands on one particular squad that's incomplete. It's not a huge deal, in the end - I wanted them light grey to keep in the colour scheme, but they're one of the least visible pieces in the build. Just mildly annoying. Game pics! Now! Or the president dies! Hah! They aren't very good, but here's some before and after shots. It was a great game - the result literally came down to the last dice roll. McKelvie wrote: Hah! They aren't very good, but here's some before and after shots. I've had games like that. Any chance you could pad this out into some sort of a battle report? Alas I don't take notes during a game so I wouldn't be able to remember enough to put it together! Those pics are actually very good, everything is super clear! You don't need to remember everything for a report, I certainly don't! I've been gone a while - totally forgot my password, but MantisKing was kind enough to fix it for me. I've seen a bunch of you over on the Facebook group in the meantime. 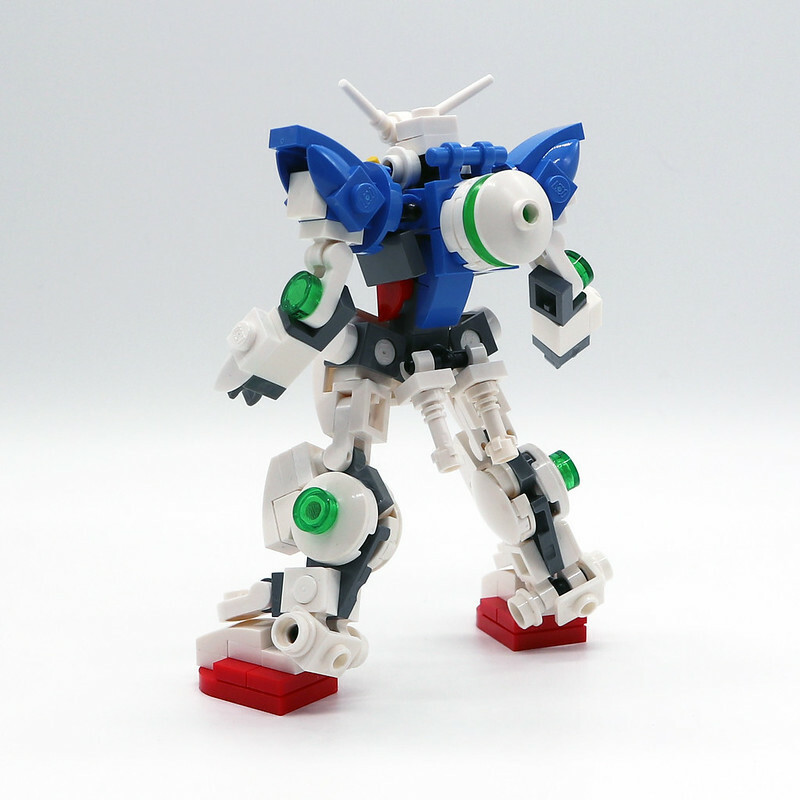 Been too busy with work to design much lately, but I did get this one based on Exia done. Pretty pleased with it. It's just short enough to fit the box. I've tweaked the head a bit since this. Started a Dynames but the limited number of dark green pieces has me stumped. So I'm doing a Barbatos next. Been a while, glad I came back to see this! 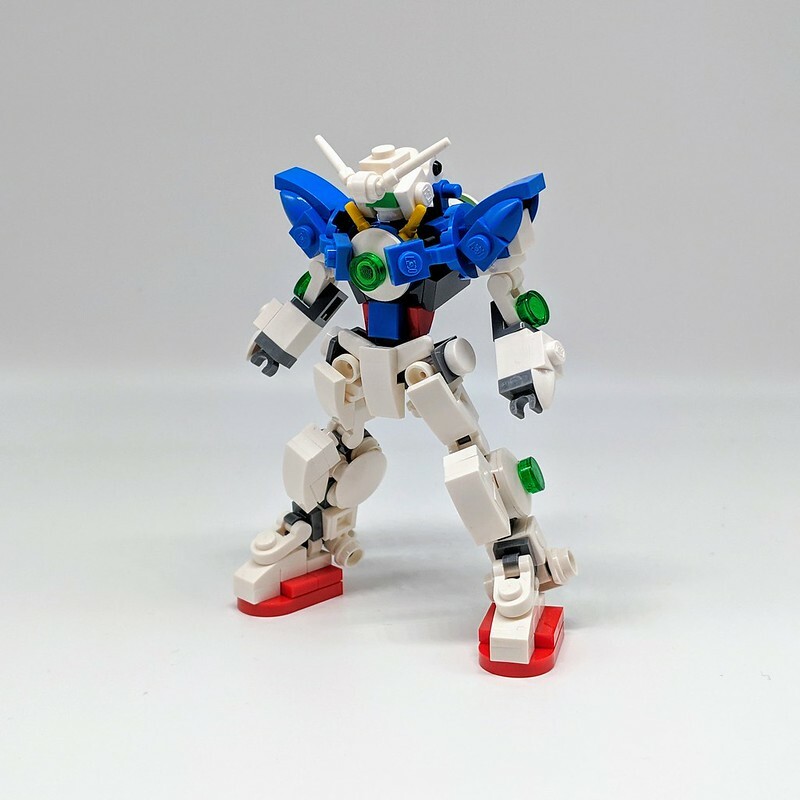 I like the feet on that Exia. I may have to steal them for something. 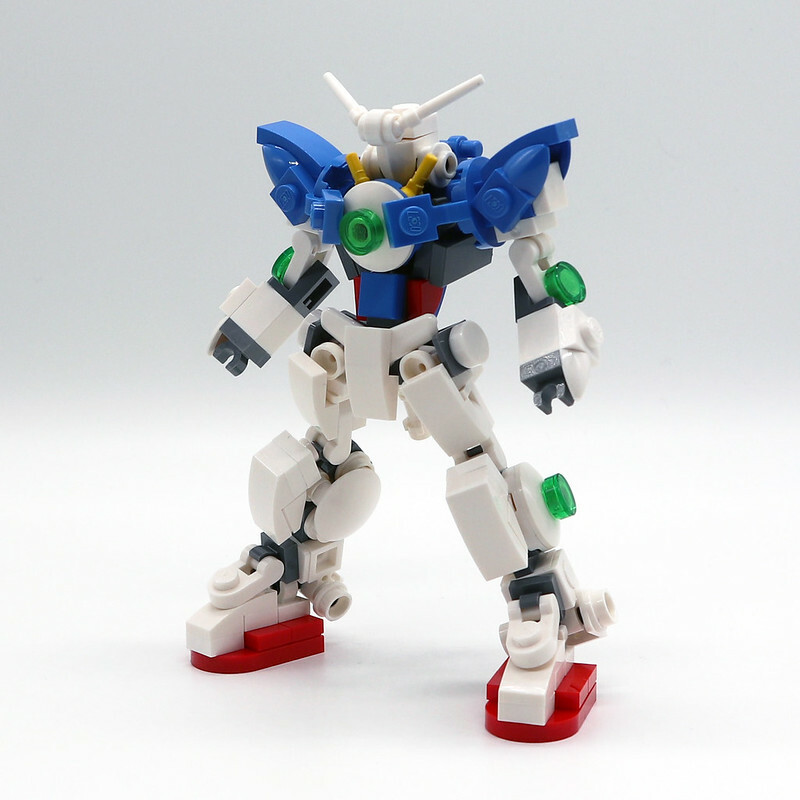 Mantisking wrote: I like the feet on that Exia. I may have to steal them for something. Me too! They are nice and chunky. It's the new Harry Potter wand!